Indulge yourself with the healing powers of Oahu. 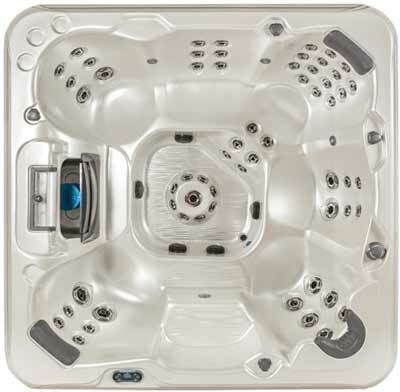 Powerful hydrotherapy jets massage aching muscles and relax your body from head to toe. The spa's beautifully sculpted lines include a seat with massage nodes and a textured seat and floor. The Oahu Elite features a Dual Footblaster Option.